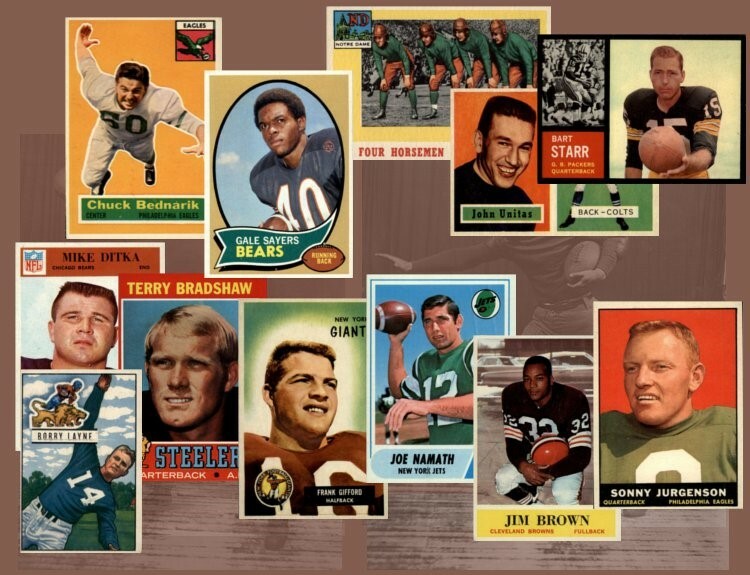 The 2015 Topps Football Set contains 500 cards and is the 60th Anniversary of the Topps Football issue. 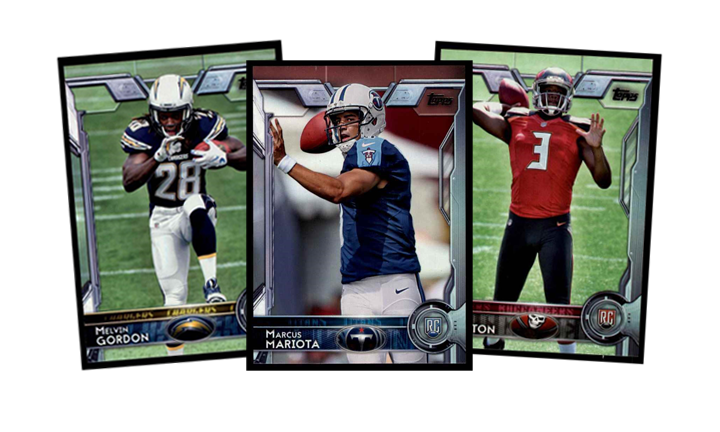 Following the 2015Baseball design, the 2015 Topps Football set ditches the single color border for a more high tech edge to edge photo framed by printed metal and glass around the sides. Showing 1 to 100 of 502 products.